CRDC Site : CRDC Annual Meeting a Success! 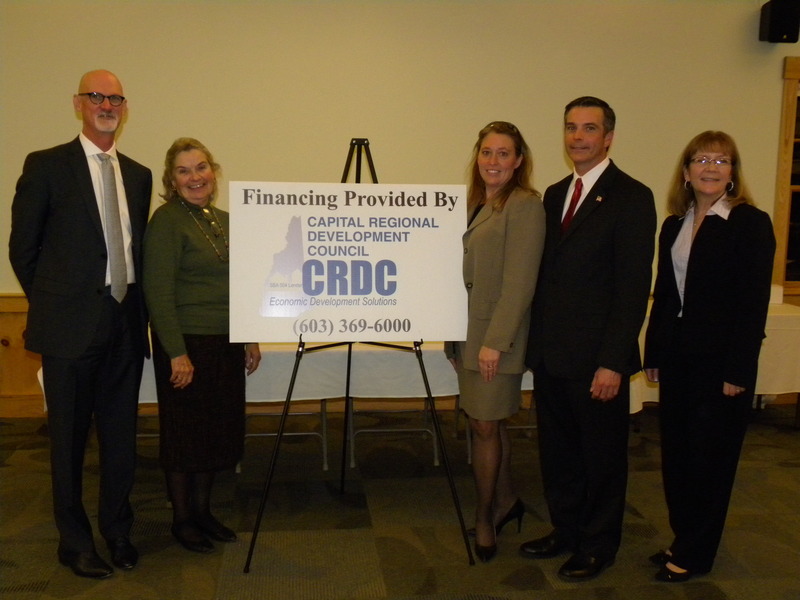 On Wednesday, November 6, CRDC held its Annual Meeting with Board Members and invited guests. The evening's keynote speaker was Department of Resource and Economic Development Commissioner, Jeffrey Rose. He presented his vision for the state's economic development strategy and how CRDC plays a role in those efforts. "The state of NH is very fortunate to have Commissioner Rose's vision for enhancing the economic vitality especially in the private sector. We look forward to helping the Department of Resource and Economic Development in any way possible," said Stephen Heavener, CRDC Executive Director. CRDC's Executive Director, Stephen Heavener, Liz Sweeney, Loan Officer, Jennifer Boulanger, Loan Officer, Commissioner Rose and CRDC Loan Porfolio Administrator, Kim Imbriglio.